The highly anticipated feature debut of Ari Aster, whose only other credit includes the odd, eerily funny short The Strange Thing About the Johnsons, is about to hit the theaters next Thursday, June 7. 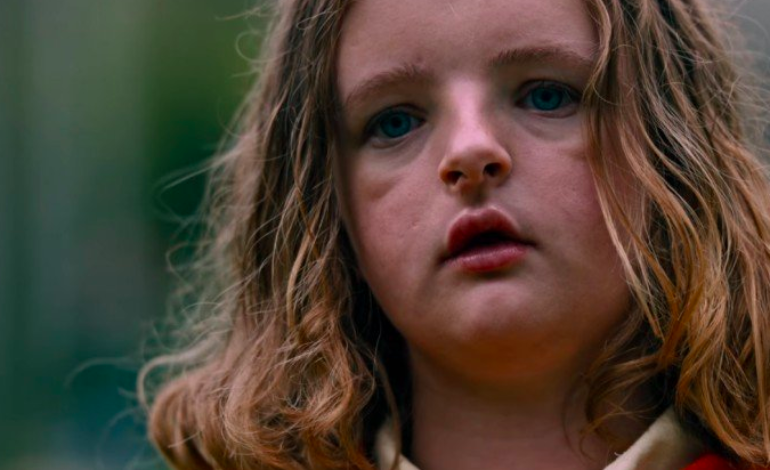 So far, a terrifying trailer has been released, highlighting the film’s masterful visual style that is reminiscent of The Witch; both films produced with the help of Lars Knudsen, and terrifying lead child star, Milly Shapiro. All of A24 horror films have one thing in common: instead of focusing on grotesqueness, vulgarity or repeating jump-scares, the films maintain great interest in character study and unique, high-concept storytelling. The horror elements are naturally integrated into the narratives of the films, yet they often do not sway the audience’s main attention on the evolution and development of the films’ characters. This, however, does not prevent the films from being absolutely horrifyingly scary. While covering a wide range of time periods, narratives and concepts, A24 horror films maintain the quality of terror they bring by focusing on modern fears that exist in today’s public: STDs, isolation, forces greater than the powers of an otherwise “civilized” society, etc. While Aster is a newcomer, his skills are already presented in his short, and the trailer for Hereditary alludes to a strong vision behind the picture. If you are someone who enjoys the thrill of a good horror story, I’d mark your calendar and get your tickets for Hereditary. Check out the trailer for Hereditary below.